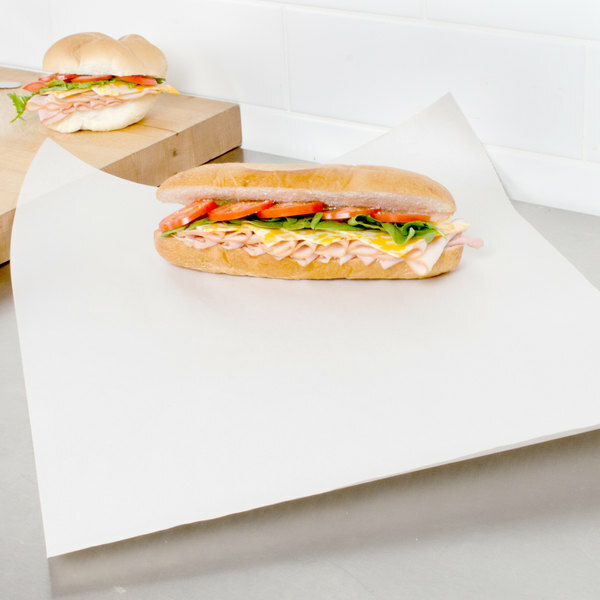 Wrap up sandwiches for your on-the-go customers with this 18" x 24" newsprint sandwich wrap paper. This 18" x 24" newsprint sandwich wrap paper has the same weight and texture of traditional newspaper but without the print, making it ideal for delis, pubs, or bistros. This sandwich wrap gives you the no-frills option you need at a bulk value your budget wants. Plus, with its 100% recycled and biodegradable construction, is also a great option for eco-conscious businesses! "THis news print is great quality and is great for wrapping items up its a sturdy and great quality. This is a great buy for these items." 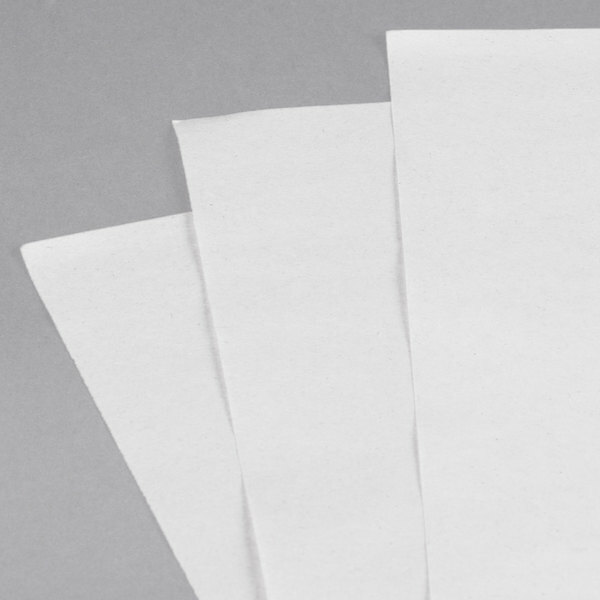 This sandwich wrap paper features no design, making it easy to label with pens, markers, or stickers. 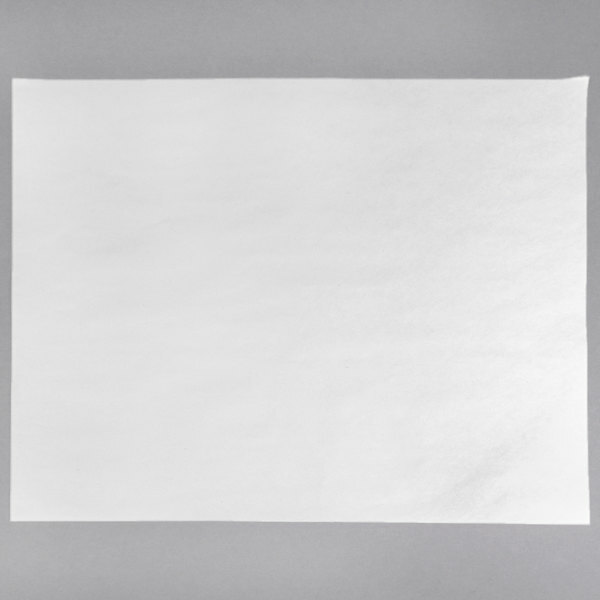 The plain white surface is perfect for delis and sandwich shops that need to mark subs, wraps, and bagels to indicate what is inside or which ingredients have been added/left out. This paper is great! It comes in large quantities which is awesome and the price is fantastic. We wrap our bulk soap with this. It works wonderfully. 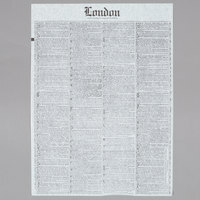 THis news print is great quality and is great for wrapping items up its a sturdy and great quality. This is a great buy for these items. Just what we wanted. Perfect size for all kinds of uses. We use them on our tables as a light cover. Price is great and it makes cleaning so easy. Not what I thought it would be like. Paper not strong enough for subs and the dressing comes right through. The size is perfect for a 12 inch sub but don't overload. Thank you for your review, Jana! 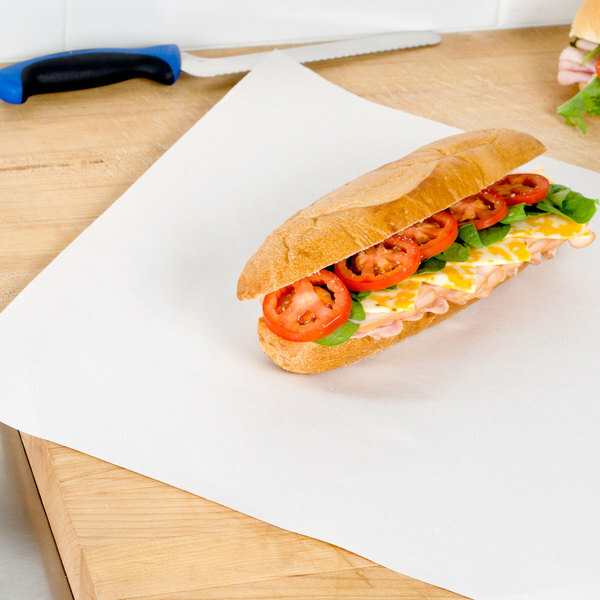 We are sorry to hear that this sandwich wrap did not work for your sub sandwiches. 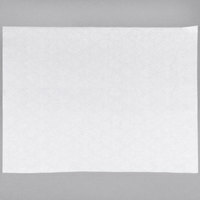 We recommend trying these 18" x 24" 40# White Butcher Paper Sheets instead for a more durable alternative. Great for wrapping hot and cold sandwiches alike. 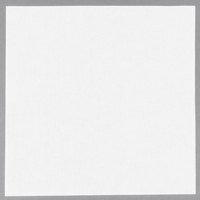 Conveniently bundled and consistent in size and paper quality, which is an issue with some competitors. When purchased in quantity, you can't bear the price and quality. We have been purchasing the paper at an office supply store . So glad to be able to find it at Webstaurant at a much better price. Good product, and a bit thin (which you should expect since it's newsprint wrap paper). Still, it's thick enough to comfortably wrap a hot or cold sandwich or bagel. Good buy.